…. 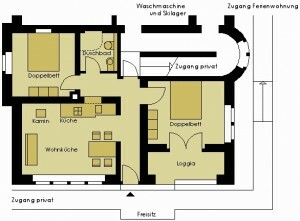 to the holiday apartment of Villa Frübing in Ilmenau. 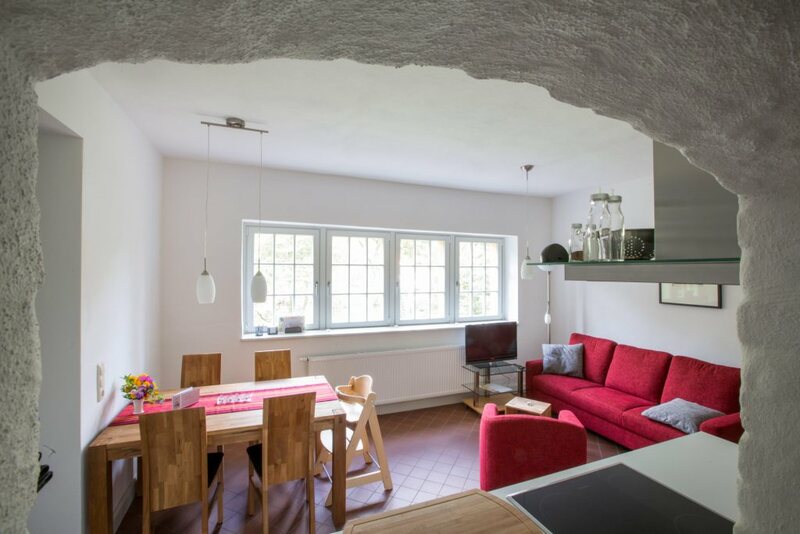 Spend your holidays in a monument – our 100 years old newly renovated Villa Frübing offers charm and character of a house in the Werkbund style. 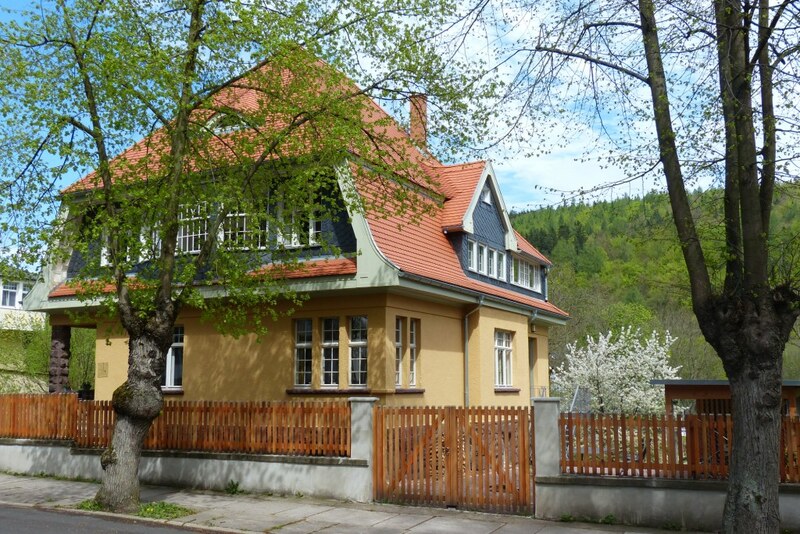 It is situated on a generous piece of property in the southern neighbourhood of Ilmenau. 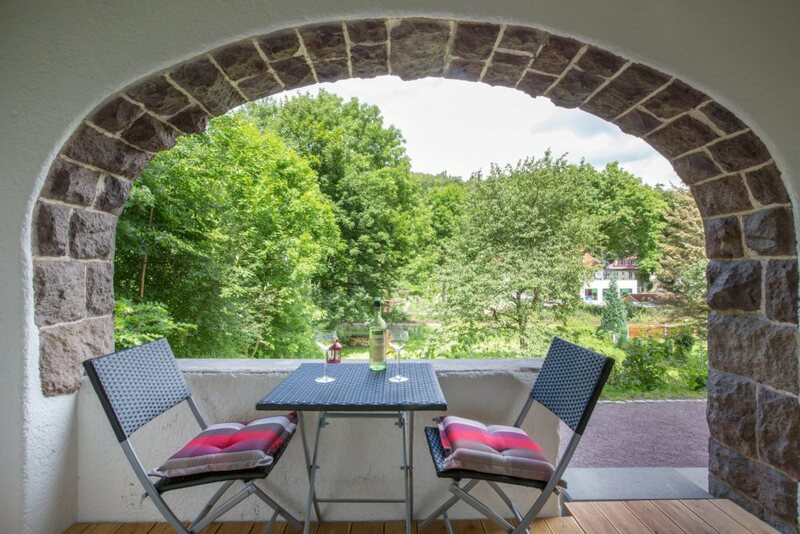 Your accommodation is located in the street Goetheallee which means directly at hiking paths, Nordic-Walking-routes an at the cycling route Ilmtal-Radweg. 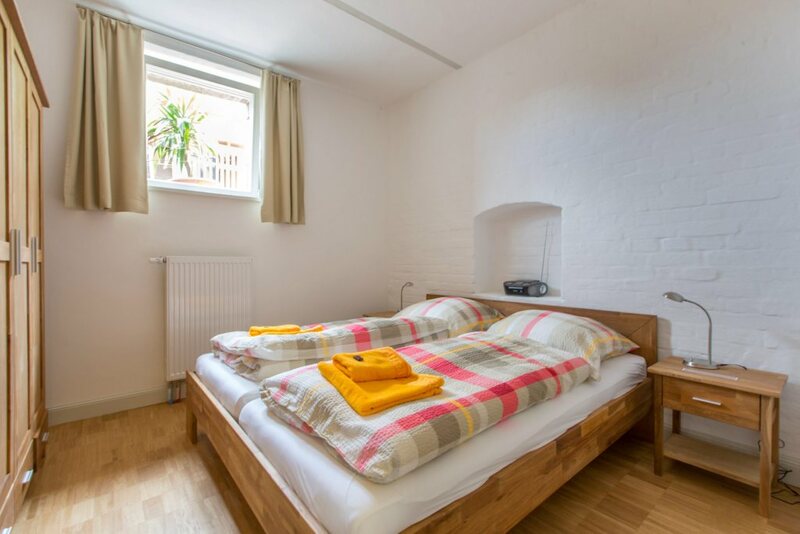 Within five minutes walking distance you are in the pedestrian area of the city centre or in the forest; many destinations for day trips, as for example Erfut an Weimar can be reached within short distance. In the new holiday apartment you will find first class comfort and in the evening you can relax in the loggia or at the chimney. You see our booking calendar above. 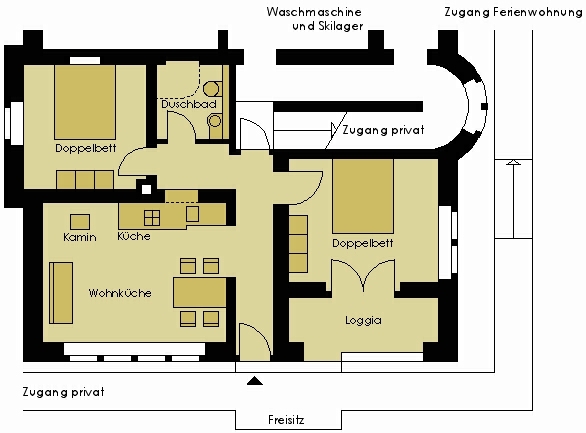 On dates shown in red, the appartment is occupied; dates shown in yellow, a reservation is asked. Please note: Days shown in red or yellow always include the night that follows. Is your preferred date available? Then please call us or write an e-mail, we then introduce your reservation. Following visitors of our webpage will see the period then as reserved or occupied. Following this link you find your way to us by public transport. We are sure that sou will enjoy your stay and we see forward to your visit! – Do you have any further questions? – We’d like to help!